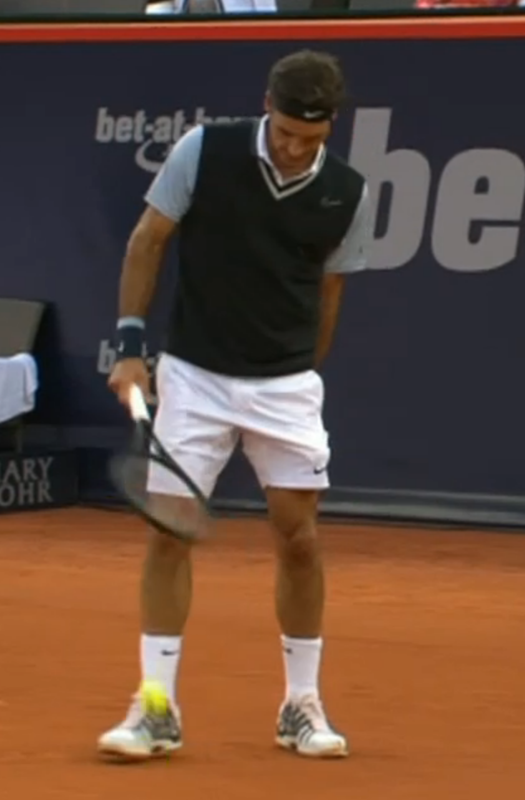 During his match against Florian Mayer in Hamburg, Roger Federer casually added a Nike sweater vest to his match attire after taking the first set. Twitter reacted calmly and rationally to this new development. Oh my god. Federer is actually wearing a sweater vest while he plays. I cannot. Sweaterer is looking like one of the 50+ men at my local tennis club. He's playing that first game a bit better than them though. Roger is wearing a sweater vest. Roger Federer in a sweater vest is quite frankly the most amazing thing to happen to this world. Laughing like a maniac rn. I'm in stitches. This is too much, Roger. I actually cannot get over the sweater vest. I am STILL laughing. This is FULL ON Grandpaps tennis right now…. Oh man, Nike is really going after the retirement village demographic. The Federer casually putting on a sweater vest before the beginning of the 2nd. Because of course he did. what on God's green Earth is Federer wearing? Roger didn't move to that dropshot. Then again, he thought he was playing shuffleboard now. You can't spell travesty without vest. Does the fed vest has a twitter account yet? call me old fashioned but I liked the sweater vest look, plus it was really cold! That´s a nice vest, classy. Great outfit. I´m 25 year´s old and I really like it. The knitted sweater vest I liked too. Just because probably many “anti” Faderer this write them, 1. everything is taste and 2. one speaks about ;-). I think it’s really cool. Vest looks awesome. I think this is just the difference between Europeans and Americans, where the former like it and the latter don’t. These comments can’t be real. The vest looks awful. Get a grip, Federer fans. Only people who have a) never played a real match in weather cold and changeable enough that a shirt’s not enough but a sweater’s too much, or b) have never had a bad back, or c) a+b, could make fun of someone’s wearing a sweater vest. Quite frankly they’re practical pieces of clothing, it isn’t as if they don’t have some backstory in tennis history, and, oh yeah, they’re stinkin’ practical. Sheesh. Why not waste bandwidth on something at least minimally interesting? I liked the sweater vest look, he looks awesome.